Wiley publishes scientific, technical, medical and scholarly publications. They publish on behalf of more societies and membership associations than any other company. 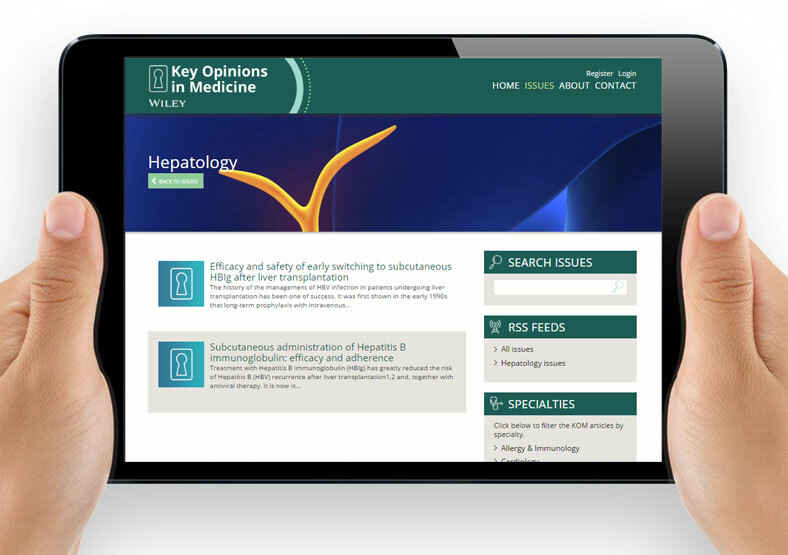 Wiley launched the Key Opinions in Medicine website as a way of sharing knowledge. Our brief was to create a website with a CMS (Content Management System), enabling Wiley staff to easily manage the content themselves. We therefore used the WordPress platform. Using Wiley's corporate guidelines as a basis for the design, we designed and developed a clean and contemporary website with clear, intuitive navigation. 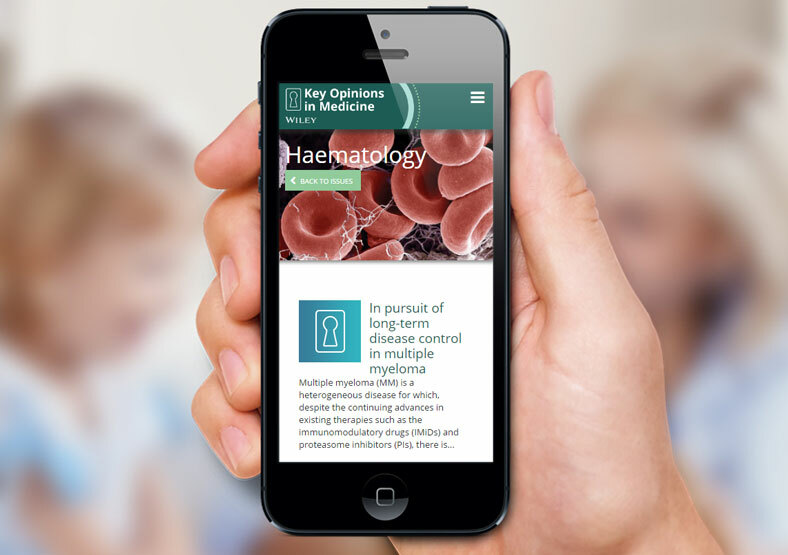 We ensured it was optimised for mobile devices with a strong focus on tablet and smartphone presentation. 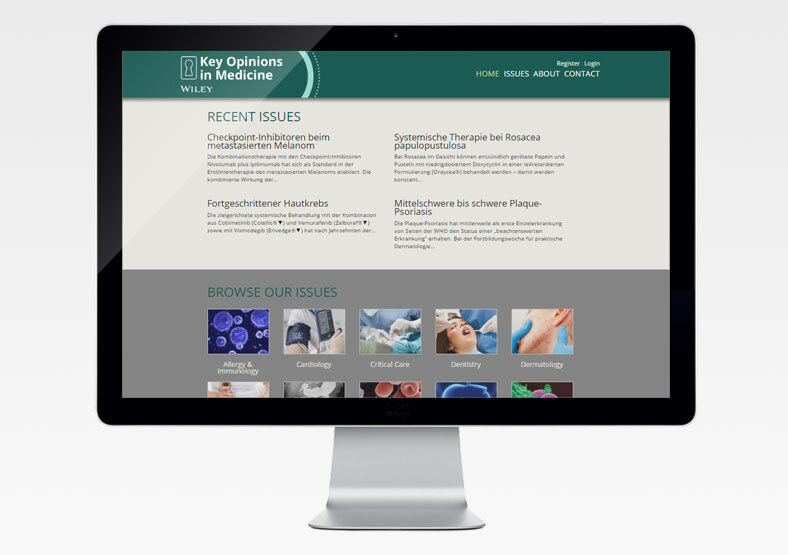 The Key Opinions in Medicine website is now being used as a successful content marketing tool across Wiley's global business.